The traditional directive style of leadership has been part of our organisational lives because it serves an important purpose. It helps work to be executed efficiently and to stay on course. Traditional management style may help organisations run efficiently, but it won't help to unleash the best gifts of every single person in your organisation. It won't ignite passion, imagination, and initiative. It won't allow organisations to be 'winning organisations' going forward. The alternative currently offered in management literature is to provide people with enough freedom to manage their own work and allow for greater autonomy for all employees. The likes of Dan Pink have said that Autonomy leads to a more motivated and more successful workforce. How do we provide autonomy without creating chaos, inefficiencies and lack of direction? To allow us to entrust our people, we need to put in place tactics that help the organisation auto-correct if things head into the wrong direction and generally improve over time. An executive team needs to trust their leaders to be the best manager they can be. Instead of telling them how to do their job, these leaders ought to be self-adjusting their behaviours and tactics based on feedback from their direct and indirect reports. provide performance feedback bottom-up as well as top-down. 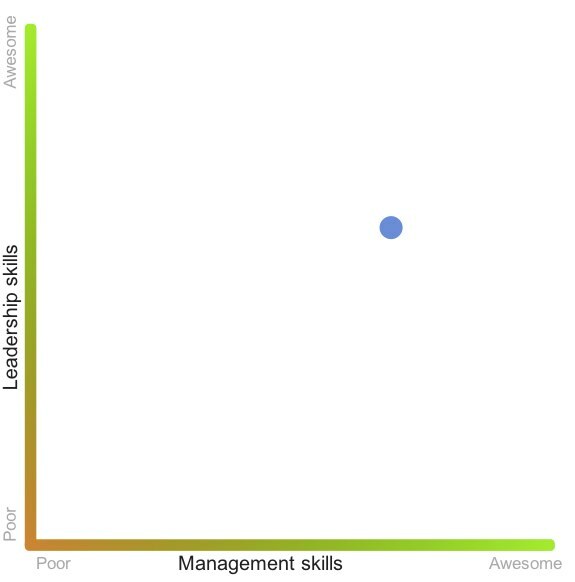 To avoid an unhealthy focus on rating definitions, direct and indirect reports are invited to evaluate their managers online by dragging a single dot somewhere against two axis: the manager's leadership skills (vision and ability to inspire, engage and motivate) and the manager's management skills (ability to manage time and resources, plan and provide you with role clarity). This mechanism of bottom-up reviews is not only a good way to build higher levels of trust between leaders and employees, it will also help leaders to improve themselves without intervention by senior management. If you trust people to manage their own work and teams, you need to have your finger on the pulse in order to course-correct in case things head in the wrong direction. In many organisations, engagement and opinions are measured once a year. The problem with these surveys is that many questions are irrelevant, problems are only identified once a year (too late), and the surveys are often used in employer award entries. It would be nice to be able to ask people for their opinion on tactical and engagement related topics throughout the year, when it's more relevant. Also, it would be great to be able to measure changes in moods and opinions over time. Atlassian will be experimenting with a new way to keep our finger on the pulse. We want to understand what people feel and how this changes over time as our processes and business changes. 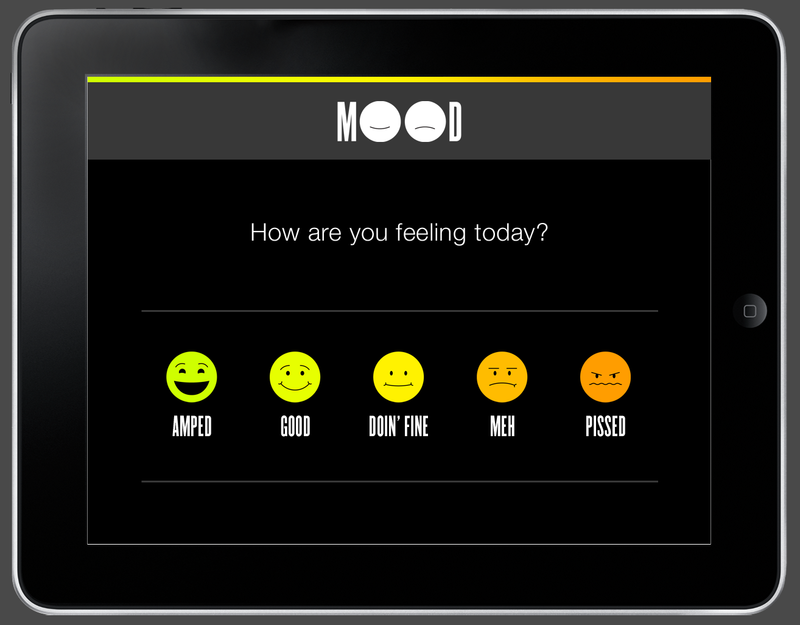 One of our Product Managers and our Talent/HR team partnered to develop the Mood~App Ipad app. On a weekly basis, Ipads are positioned at all the exits of the buildings. As people walk out of the office after their day at work, they provide their opinion or feelings by answering 'one' question. It's quick and people get instant feedback on how others have responded. We are able to measure the swings in moods, engagement and opinions over time and publish this online for everyone in the company to see. The Mood-App allows Atlassian to continuously course-correct if engagement levels drop, or if people disagree with certain strategic or tactical decisions, rather then waiting for an annual review. Every quarter, we give employees the chance to work on anything that relates to our products and ship it within 24 hours – hence the name, FedEx Day. This structure fosters creativity and allows for more radical ideas to get traction. Every quarter, everyone drops their work for one day and starts working on an innovative idea of their choice. After the 24 hours, people present their idea to the rest of the company. It's not just for developers either: anyone can participate. Product managers, tech writers and marketers have all taken part. This creative burst of brainstorming, prototyping and presenting became widely known after it was chronicled in Pink's book 'Drive'. 4. Giving 'Kudos' - no restrictions, no approvals. Peer recognition is probably the most rewarding and most essential way to reinforce excellence. Our previous recognition model may have been developed to do so, but the program sank with it's own heavy weight. The practise of allowing people to nominate someone for a quarterly award just didn't catch on. We have since made a significant change that have boosted peer to peer recognition. We’ve set up a simple workflow, so any Atlassian can give their colleague ‘Kudos’ for a job well done without management approval. After initially enforcing a maximum of 4 'Kudosses' per person, we later removed that limit on the number to be given out. ‘Kudos’ requests are submitted through our system, that sends an automated email to HR who arrange the recommended gift (<$50) and a handwritten ‘Kudos-card‘. In an average week, an amasing 7% of all our employees are awarded a Kudos. Instead of having a heavyweight program, this lightweight 'Kudos' model constantly reinforces great work and awesome behaviours without needing explicit direction or acknowledgement from the top.